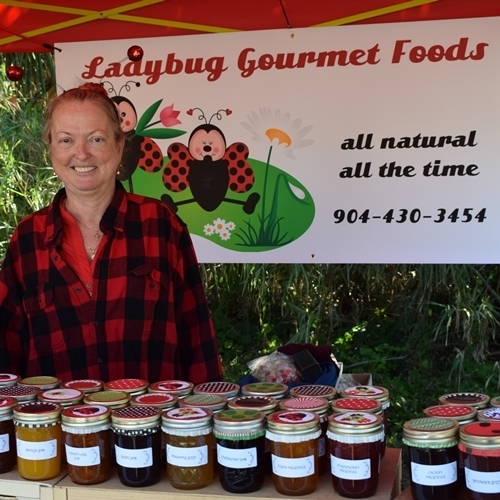 Lady Bug Gourmet specializes in Jams, Jellies and Preserves. They also offer caramel sauces, sugar free options, pepper jellies, pie fillings, and fruit dessert sauces. She also makes a selection of savory marinades, and fruit curds. 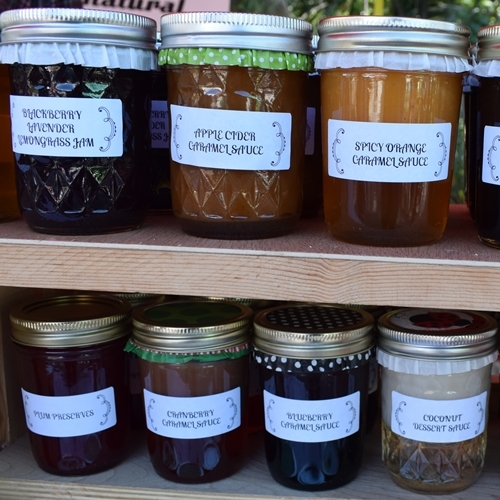 From Apple Butter and Cherry Preserves, to Key Lime Marmalade and Watermelon Lemonade Jelly, they’ve got all the flavors in between. Caramel Sauces include Black Forest, Butterscotch, Coconut, Passion Fruit and more. Six apple butter flavors are sure to please your sweet tooth, and if you aren’t fond of apple, she even has a pear butter option. 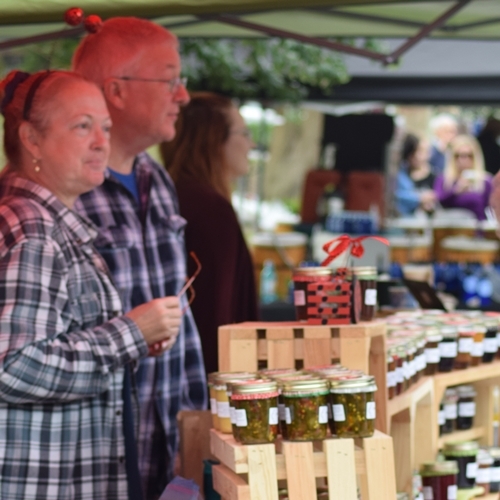 She is always passing out samples, so be sure to try the Blackberry Jalapeno, Mango Habanero, and Strawberry Chipotle flavors. Available in your favorite flavors, just ask. Owned by Michele Peterson, of Fernandina Beach, Florida, if there is something that you are looking for that they do not currently carry, please don’t hesitate to ask. Custom gift boxes are available with a wide choice of flavors, just ask if the flavors you want are available. There is also a selection of ready made gift box options to choose from. 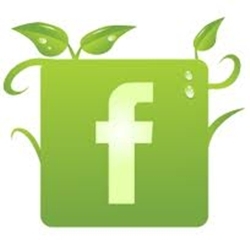 For more information, find them on facebook.